It's recommended that the average person eat 1,600 to 3,000 calories every day, but Olympic athletes can afford to eat much more. That's because their metabolisms are as fast as they are. Michael Phelps famously shared his impressive 12,000 calorie a day diet during the 2008 Beijing Olympics. That's 4,000 calories every meal. 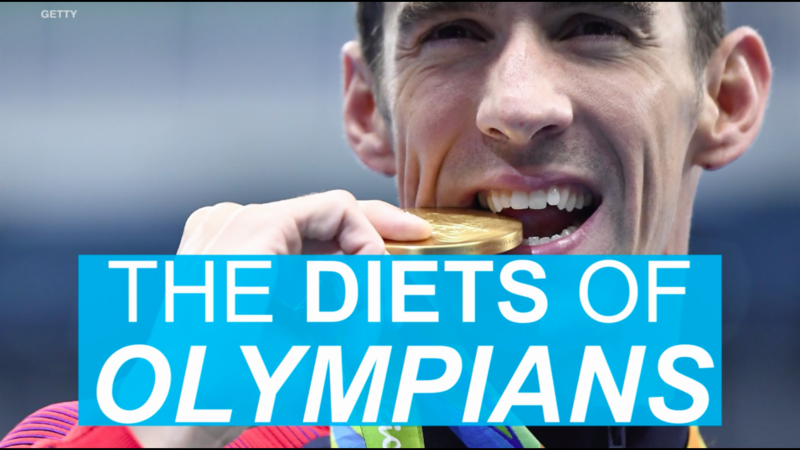 While training for Rio, Phelps updated us on his diet in a Facebook video. He seems to have upped his protein intake and has been grilling hamburgers hot dogs, steaks and lots and lots of chicken. He also said he loves Mexican food. Some athletes, like Venus Williams, are straying entirely from meat. The tennis gold medalist dedicated herself to a vegan, raw-food diet for the Games after being diagnosed with Sjögrens Syndrome, which gave her shortness of breath and muscle fatigue. Australian sprinter Morgan Mitchell ran her career-best after going vegan a year and a half ago. Her snacks of choice are chia pods and vegan pizza for dinner. But even world-class athletes like to splurge. In the Olympic dining hall, the world's best athletes all get free McDonald's.